From beginners to experienced climbers this clinic offers the possibility of vertical experience in one of the most mythic places in the world. Amazing adventure for a non hiking day! Walls are close to town. 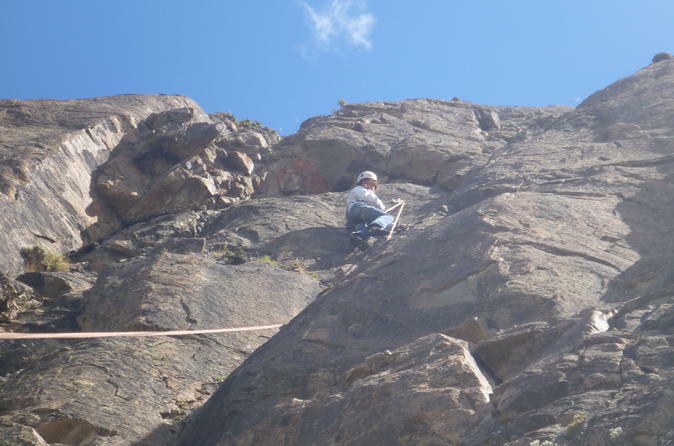 Our rock climbing clinic is guided by experienced climbers. 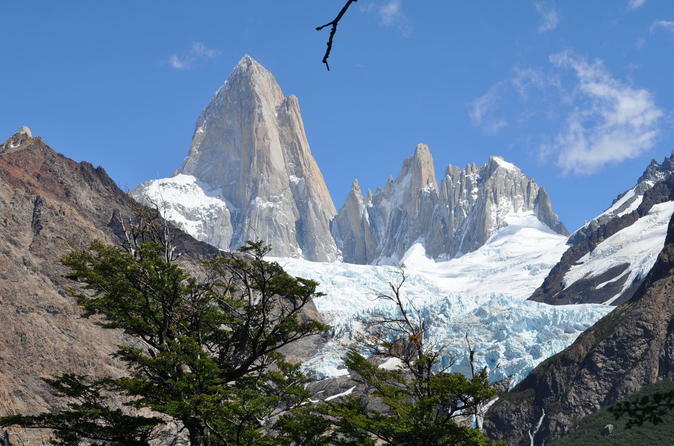 Your 8-day trek will take you to the Southern Ice field as you will circle both Fitz Roy and Cerro Torre mountains and walk off Paso del Viento. Some previous mountain experience is required, but no technical skills in crampons and snowshoes is needed. You also need an excellent physical condition and hiking skills to face long hiking days, steep paths and heavy backpacks. 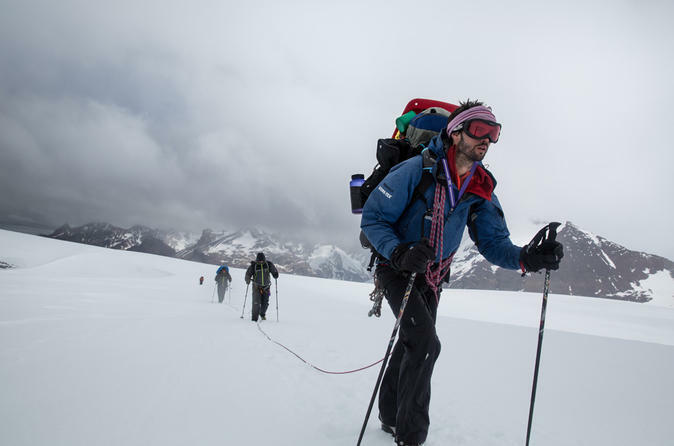 Your tour includes meals, a professional mountain guide and some equipment. 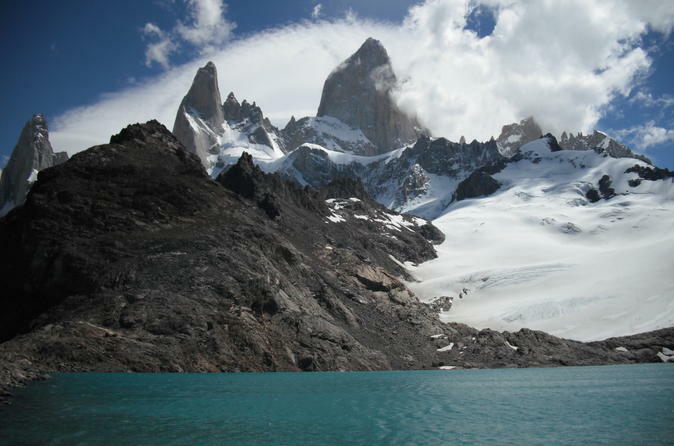 Laguna de los Tres, on the Fitz Roy Valley, is an amazing viewpoint of Mount Fitz Roy and its glaciers. This classic and demanding hike will amaze you with its beauty and surroundings. Join this full day trip and get ready to hike around Laguna de los Tres with a small-group and a professional English-Speaking guide. This hike is your opportunity to cover all main views in Patagonia Argentina! Hike on Perito Moreno Glacier, Laguna de los Tres, Laguna Torre and Lago Electrico in El Chalten area. Hike through our set camps with your light backpack and enjoy and live the Patagonian dream! Camps have latrines, but they are mobile.